A good convention in Blackpool with lots of interest in our new products (and quite a few sales too). More information later, but in the meantime, for all those who’ve been asking for ‘designer decks’ here’s a selection from the range we currently have in stock. 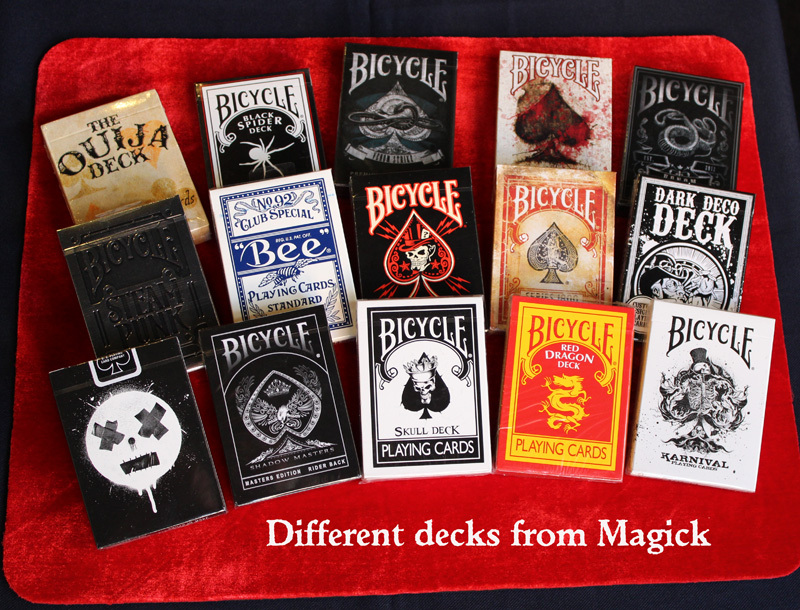 And for professional magicians, we sell proper Bicycle cards too.